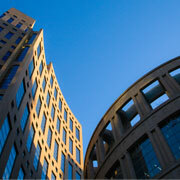 We have now confirmed the 2013 schedule for PsychologySalon talks for the public at Vancouver Public Library. Tuesday March 26 - Out of the Blue: The Nature and Treatment of Major Depression. With Dr Randy Paterson. Tuesday May 28 - Superhero Psychology 101: Understanding the Appeal. With Dr Lindsey Thomas. Tuesday September 24 - The Vision Project: Setting - and Reaching - Your Life Goals. With Dr Randy Paterson. Tuesday November 26 - How to be Miserable: 12 Brilliantly Effective Strategies. With Dr Randy Paterson. I'd love to do that one again - I thought it was fun to do. Currently I'm working on some online video talks - maybe I'll get around to that one. The topic is sideswiped in my last post on "The Secret."